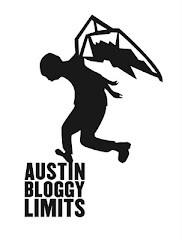 Well folks, Austin City Limits festival is less than a month away and this blogger is getting pretty excited. Can you believe I have never seen Arcade Fire perform live?!?!? I've loved them since before they were a band! No, but seriously there are a ton of great bands playing this, the 10th anniversary, of Austin City Limits Fesitval. I am specifically mentioning Arcade Fire as they are the headlining band on the final night of the festival, for which tickets are still available. I also want to highlight a lesser-known band playing Sunday, September 18th at Austin City Limits Festival. The Head and the Heart are based in Seattle, their debut album was remastered and re-released this year by SubPop records and they have been touring with Dr. Dog, Vampire Weekend, The Decemberists and many other fantastic indie-mind artists this year. Their music is beautiful, honest, and pastoral with multi-part harmonies, string flourishes and intimate vocals. They have passed through Austin a few times in 2011 and ACL Fest promises to be their biggest audience yet. Make sure you are at Zilker Park by 1:00pm the final day of the fest, as The Head and The Heart will be taking to the Google+ stage at 1:30pm that day. I was intending to mention that The Head and the Heart have an aftershow scheduled at Antone's but it appears to have sold-out. Sorry, about that folks but that should just further your resolve to check out the band's festival performance. If you haven't heard their LP yet, I encourage you to buy it, or at least check it out on Spotify.